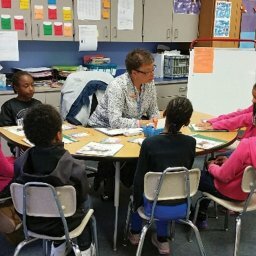 Kenmore Elementary uses a Response to Intervention (RTI) model to ensure all students have access to a standards-based, rigorous curriculum. 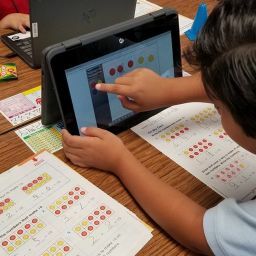 They believe that “all students can succeed by mastering one standard at a time.” A big part of ensuring access to the curriculum is consistent use of Thinking Maps and Write from the Beginning and Beyond across all grade levels. 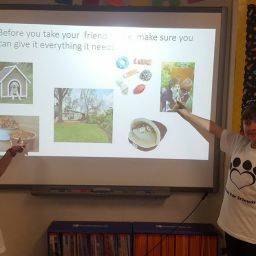 They want students to gain academic vocabulary and organize their thinking so that they can write about what they have learned, believing this will bring students to a higher level of comprehension. Teachers share strategies and plan lessons during 45-minute collaboration meetings weekly. They also review data to plan intervention groups for their 45-minute intervention blocks three times a week which are supported by all staff including the principal, assistant principal and high school ROP students so that students receive the support they need. 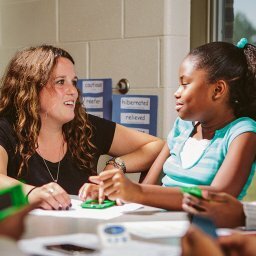 Teachers also receive support to grow from instructional coaches who model lessons and also through visits to other teachers’ classrooms to observe the use of effective teaching strategies. Kenmore was named a 2016 Honor Roll School for “consistently high levels of student academic achievement, improvement in achievement over time, and reduction in achievement gaps” and won a America’s Best Urban Schools Silver Award in 2018.